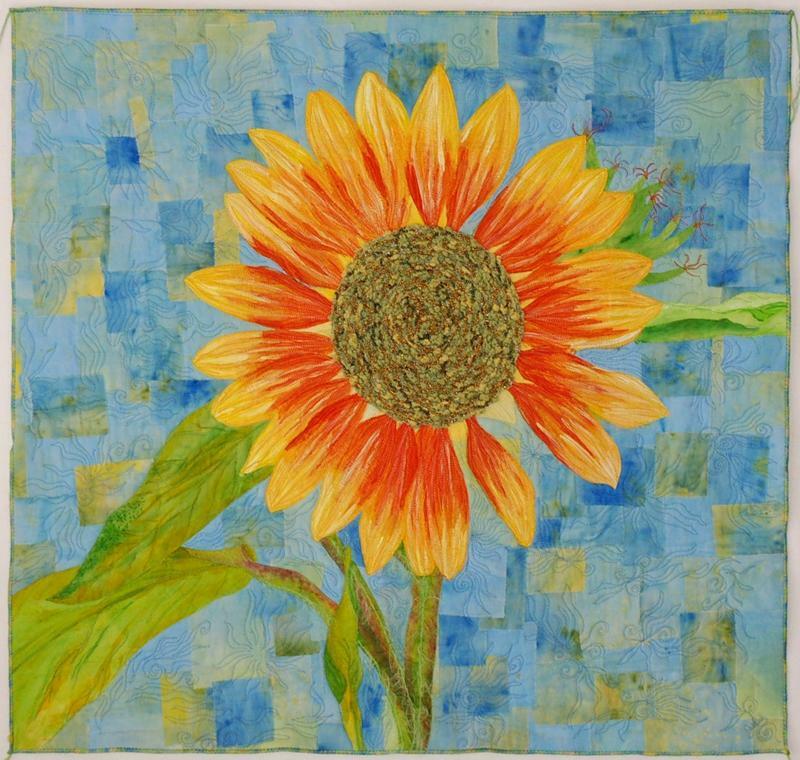 Yesterday I prepared "Sunflower with a Passion for Color" to ship to the Lowell Quilt Festival in Lowell, MA. I am so excited to be included in this show. I'm looking forward to reading the judges comments on this quilt (and hoping that someone loves it enough to buy it). I had other big news this week from the International Quilt Association, "The Truck Quilt" and "Outside In" have been chosen to be exhibited in International Quilt Festival in the November show in Houston. Just like a finely tuned sewing machine, there was balance in my week. The great news from IQA more than balanced out the hiccup with my Bernina! BTW, the Bernina is quilting beautifully, it just doesn't want to straight stitch very well.